Wonderful sterling silver statement cuff bracelet by award winning artist Susan Adams. 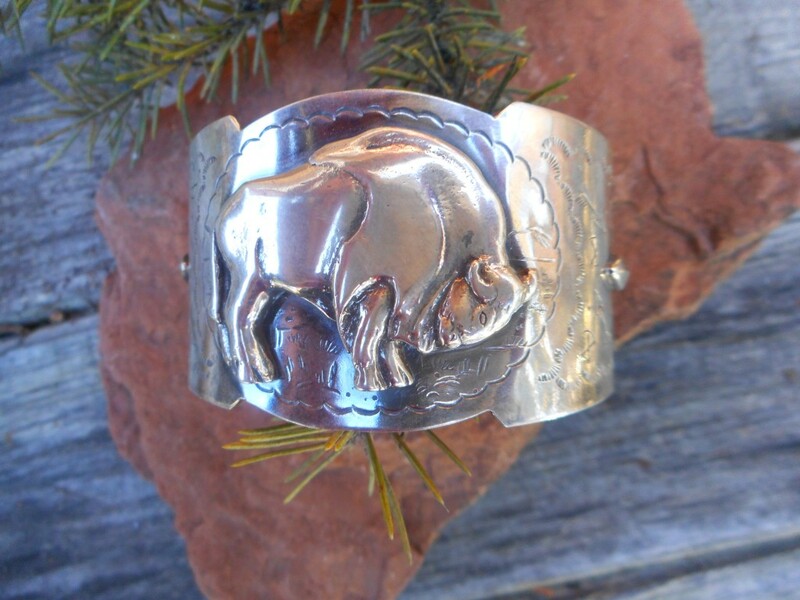 Cuff features large deco style buffalo in the center with a single arrow on each end. Terrific stamp work on this piece make this an eye-catching piece of jewelry. Measures 1.5 inches in width at the widest point and cuff opening measures 1 inch.